Guangzhou Boan Health Product Co.,ltd is specializing in manufacturing and exporting of private label health food,dietary supplement,herbs and nutritionalsupplements in softgel hard capsule and tablet.Over 10 years experiences,we have exported our products to all over the world and enjoyed good reputation. 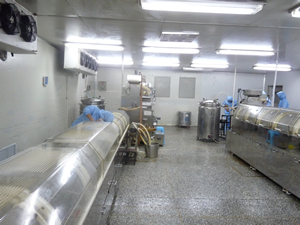 The production capacity can be up to 2.5 billion pcs each year.All of our products are produced under GMP standard facilities with our experienced staff in superior quality.Our role is to assureproducts of superior quality and to develop a varied range of products to meet consumers needs. We warmly welcome customers to contact us for more details.We are sincerely looking forward to cooperating with you. -- Our products are produced under GMP standard facilities with our experienced work staff. We provide best service in term of quality and competitive price. supply for our customers. And the production capacity can be up to 2.5 billion pcs each year. We are sincerely waiting for your inquiry. -- As always, we will remain best quality and prices for you to contribute for the society in which we work and grow to create a healthy environment. Let‘s connect your health with Nature.